With more than 800 million active monthly users, Instagram is a social media channel of massive proportions. And, when used strategically, it can reap major benefits for your retail store. But knowing what to post on Instagram — and how to do it — might leave you wondering where to start. That’s we’ve created this guide for retailers, detailing how to post on Instagram (including Stories, ads, IGTV and more) and tips for making the most of the photo-sharing social media tool. If you want, you can also post a gallery on Instagram, which features more than one photo. To add multiple photos, tap on the multiple images icon. You’ll then be able to select the photos that you want to include in the gallery. This is helpful if you have a new product line and want to showcase the color variants, or want to promote your latest product bundle on Instagram. 2. Tap Next (upper right corner) to add filters to your photo. You can also adjust edit your images within the app. 3. Once you’re happy with your image, tap Next again. Here, you can add a caption, location and tags, as well as automatically share to your connected Facebook, Twitter and Tumblr accounts. 4. When you’re all finished, tap Share (upper right corner) to post the photo(s) to your store’s Instagram feed. You can also take photos or videos within the app, instead of using images that you already have on your phone. This is helpful in cases such as in-store events where you’re posting out-of-pocket. Otherwise, you’ll want to have high-quality images that you’ve shot outside of the app whenever possible. 1. If you are taking a photo within Instagram, open the app and tap on PHOTO in the middle at the bottom of your screen. You should see a camera view (remember to allow Instagram permissions to access your device’s camera). 2. Hit the big circle in the middle of the screen to snap your snot, and follow the same steps as you would with the previous example, in terms of editing, tagging and posting. If it’s a video you’re after, tap on VIDEO, to the right of PHOTO. You’ll have to press and hold the middle button to record your video, and you can stop mid-video and then pick up at a new point without losing the footage you’ve already shot. 3. After you’ve recorded your video, you can choose filters like you would with still images. 4. Then you can tap on COVER to choose the cover image that users will see in their feed before the video begins to play. You want to choose a compelling, eye-catching frame that piques interest. In-store events, such as the example above, make for great Instagram videos. You can do these live (more on that in a bit), or record videos and edit them together for a post-event Instagram post. United By Blue has multiple retail locations in New York City and Philadelphia, so they use the store-specific accounts to post regional content. Lifestyle images, rather than generic white-background product photos, are more visually appealing on and suited for Instagram. That being said, if you have striking or unique product photography, you can repurpose those images to use on Instagram as well. A Boomerang is a small video clip that loops. First it goes in the order it was recorded, and it then plays in reverse, sort of like if you were to rewind the video. This video loops infinitely, creating a visual that appears similar to an animated GIF. To post a Boomerang on Instagram, you first need to download a separate app (available for Android and iOS). 1. When you’re in Instagram, about to post a new image, tap on the Boomerang icon. This will open the Boomerang interface, which you can use to record your video. 2. To record your Boomerang, tap and hold the white circle in the middle. When you let go of the screen with your finger, the Boomerang will stop recording. You can trim the video and fix stability before tapping NEXT. 3. After recording your Boomerang, you have the option to crop the frame as needed. Once it’s at the desired length, tap on the arrow in the upper right corner. 4. Now, you can add filters, trim the overall video, and add a cover image — just as you would with any other standard Instagram photo or video. 5. When your edits are complete, tap Next to add the location, caption, tags and other settings before posting. Likewise, you can mask smartphone photography with a Boomerang, especially if the device doesn’t have a great camera. Instagram Stories are self-destructing photo and video posts that function similarly to how Snapchat works. They are located at the top of one’s feed and are visible for 24 hours from the time they were posted. Instagram Stories also helpful for gaining followers, as they appear at the top of the Explore section, so it’s a great way for users to discover your brand — especially if you’re lucky enough to get featured in a local Instagram Stories feed. Instagram Stories has around 300 million daily users. 1. To post on Instagram Stories, you’ll have to tap on your avatar in the upper left corner or simply swipe left. 3. Then, you can either tap on the white circular button to take a photo, or tap and hold to record a video. Your post will then be in your followers’ Stories feeds. 4. Tap “Send to” at the bottom right, then hit “Share” on the next screen. At United By Blue, the local store accounts use Instagram Stories to share upcoming in-store and local events that are relevant to their brand. Post interactive polls on Instagram Stories. Maybe you use it for market research and get feedback on new product ideas, or you use it as a fun way to create engagement with your brand. Make your Story a host to Instagram takeovers from local influencers in your community. Use the location tag to promote your store destination. 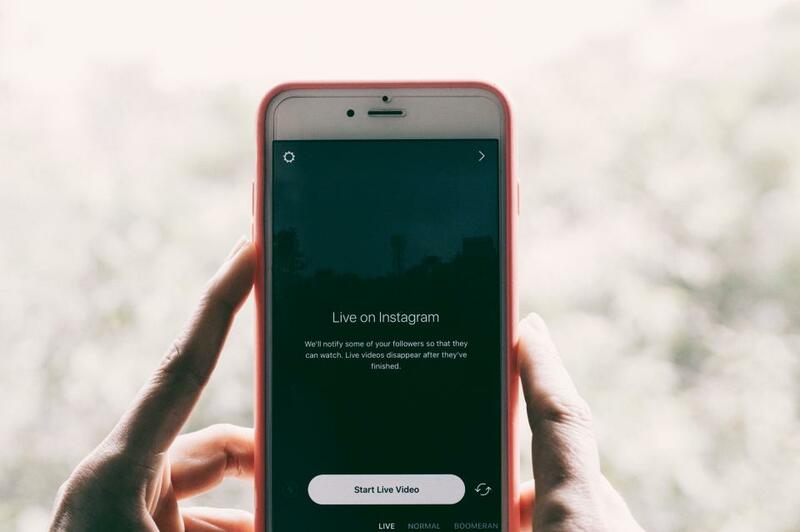 Ask any social media marketing their biggest qualm about Instagram, and you’ll likely encounter a few answers revolving around the inability to link. When brands post standard Instagram pictures, videos or Boomerangs, there is no option to add a link to the content, either in the visual itself or in the caption. You can include the link in the caption, but it won’t be clickable. Essentially, the shoppable Instagram works by allowing business pages to place virtual product tags on products so users can click directly through to the link. Before you can post your own Instagram shot with tagged products, you’ll need to get approval for shopping on Instagram. Once that’s in place, and you’ve connected your product catalog to your account, you can tag products in your posts. Follow the steps you would to post a standard Instagram photo and tag individuals. Using the search function when tagging, enter the name of the product you want to tag. You’ll be able to select the corresponding product, which will add a link to the page on your site and the pricing from that page. Announce a new product or product line with tagged photos on Instagram. Invest in high-quality product photography to show them off in their best light. Create a gallery that serves as a collection of products which create the whole solution. Maybe it’s an entire outfit with accessories, or all of the ingredients necessary to make a specific recipe. Show off your new product or window display, and tag the products that you’re showcasing in-store. There are two ways you can advertise on Instagram: promoting a post from within Instagram or running an independent ad through the Facebook Ads Manager. Tap on a standard Instagram post that you’ve already posted in the past and select Promote. Choose the business objective that you want to set for the ad; your options include Visit your website or Call or visit your business. For brick-and-mortar retailers, you may want to select the latter. Then tap Select button text to choose from the list of call-to-action (CTA) text. You can choose from a variety of CTAs, like Learn More, Shop Now, Book Now or Contact Us. Then add the link or location (depending on the business objective you chose). Now it’s time to choose your audience. You can customize this based on certain demographics and behaviors, or you can make use of Instagram’s suggested targeting. Tap Done. Set the budget and length of campaign for your promoted Instagram post. Tap Next, review the details, and tap Promote to promote the Instagram post. Then choose your targeting (or ad set) and budget. You can use custom audiences, lookalike audiences, or insights from Facebook, Instagram, Google Analytics and your POS system to help you create audiences. You can set a daily budget or a set budget for the lifetime of the campaign. Image: This is similar to a standard photo post. Slideshow: This is when multiple images are put together into a video for a slideshow-like presentation. Finally, choose your CTA text and enter the link you want the ad to drive users to. Think outside the box with creative design to promote the opening of your new store. Remember, ads are intrusive to users’ feeds. A minimal approach like the North Face example below shows a technique that they used on Facebook which could easily be repurposed on Instagram as well. In June 2018, Instagram announced the launch of IGTV, an “app for watching long-form, vertical video from your favorite Instagram creators.” Essentially, IGTV allows users to post video content that lasts up to one hour — much longer than the standard Instagram video post. 1. Download the independent IGTV app. While you can watch IGTV posts in the native Instagram app, you need to download the independent IGTV app (or use the web app) to post your content. You’ll also need to shoot and edit your video outside of the app. 2. Open the app to create your channel. 3. To post your first IGTV video, tap Upload video and choose the file from your device’s gallery. Your videos must be vertical and between 15 seconds and 10 minutes long. 4. Choose your video and tap Next in the upper right corner. From there, you’ll be able to change the cover image, add a title and description, and choose whether or not to automatically share the content to your account’s linked Facebook page too. 5. When that’s all complete, hit Post to share it with the world. The feature is still relatively new, so the advantages for brands remains to be seen, but there’s no doubt that IGTV brings a whole slew of untapped opportunities. Extend your in-store experience. lululemon broadcasts free yoga classes, something that they also offer in-store. Remember how thredUP leverages real people for social proof of their brand? Warby Parker does the same on its IGTV channel with #WearingWarber, where influencers talk about their frame and story behind their glasses. How do you already use Instagram for your business? What works best? What plans do you have to try in the future? Let us know by sending a tweet or post on Facebook!